There comes a point in your life (mid-to-late-twenties perhaps) when “societal norms” expect you to have it all together, have life figured out and start fitting into “ascribed standards.” However, at the tail-end of my being 27, I can tell you that is far from the truth. This is not about to be a “dear diary sob story.” This is about keeping things real in a climate that relishes on the highlight reels on social media. This is about telling someone out there that it is going to be okay. You, are going to be okay even when you feel like you do not have it all together; regardless of your age. Here is a quick rundown of my crazy-rollercoaster-unpredictably-good life based on “societal norms:” Well educated with degrees — check. Have a job and not necessarily a career (yes, there’s a difference) — check. Living in a bustling metropolis and out of mum and dad’s house — check. Married? Children? Significant other? Healthy savings account? Vacationing every other month? You are probably assuming I am going to say “check” to some, if not all of the above. But, no, no, no, no and no respectively. You see, most of my counterparts my age would most likely “check” all those boxes and there was a time that bothered me. Times when I even compared my life to theirs and wondered at what stage did I miss this “boat” that people got onto and seemingly got their lives together. But in those fleeting moments of wonder and comparison, I had to forcibly take a step back to see that although my life is unconventional, and not always polished — it has been ridiculously amazing! 1. It is absolutely okay if on some days you wake up feeling like you have no idea what you are doing, let alone wonder if you’ll ever find the answer to x2 + y3 – 2(a + b) / c – d = life. Yes, I just made that up. It is okay to feel the way you feel because it is normal. You are human after all and entitled to be authentically you — your feelings included. 2. Your life’s journey and the road you are on will never look like anyone else’s and DOES NOT need to follow the same trajectory as one of your friends or a person in the same age group. Not even a family member or anyone on social media. In the same way you were built differently, your journey is unique to you. What works for you will not necessarily work for Jim or Suzy in front of you at the coffee shop and vice-versa. Live your own life unapologetically and true to who you are. 3. Embrace the struggles and the failures. They both come with “stress, grief and frustration” but they are riddled with lessons and opportunities to grow. Growth is development. Development is one step closer to achieving your goals and level of success. “Failure is not the outcome, failure is not trying. Don’t be afraid to fail.” -Sara Blakely (Founder of Spanx). 4. Some of your greatest moments will come from daring to step out of your comfort zone. I have made some of my most treasurable memories and experienced some of my best blessings when I stepped out of my “safe zones.” There is an exhilaration that surfaces and trumps any anxiety felt when that step is taken. So, I dare you — step out of your comfort zone and see what happens! 5. Regardless of what situation you are facing (good or bad) or how sunny or grey life may look, ALWAYS take time to break into a “no-one’s-watching-I-don’t-care-happy dance” and be grateful. Life could be worse. There is always something to be grateful for whether big or small. Gratitude opens the door to seeing the goodness in your life even when chaos looms. 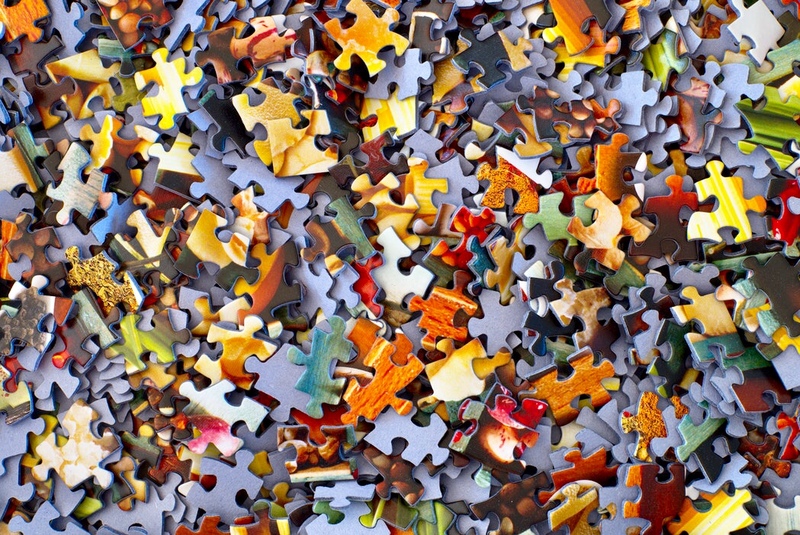 So, for those out there who, like me, do not fit into society’s conventional mould and occasionally wonder what the heck they are doing, who cannot seem to figure out this “10,000-piece jigsaw puzzle” we call life — BE KIND TO YOURSELF. Stay true to you. Be relentless in perseverance. Know that you have actually indeed arrived because in your successes and failures so far, you have either won or you have learnt. But, importantly, look at you right now — you have made it to this very moment! In spite of it all, you have made it this far! BE PROUD OF YOURSELF and KEEP GOING! Tatenda Mhaka is a young professional with a passion for making a positive lasting impact in the global arena. She is an International Development and Intercultural Communication enthusiast with degrees in both fields. She has a heart to encourage and motivate people to believe in themselves, to unleash their inner greatness and discover their true potential.